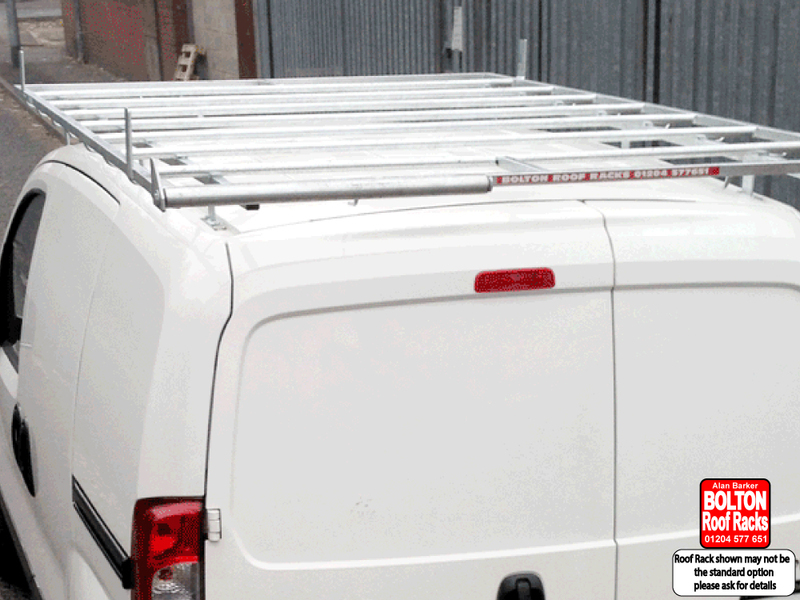 Citroen Nemo Roof Racks from Bolton Roof Racks Ltd.
Citroën Nemo is distinguished by a pure and optimistic design creating functionality, safety and savings. Faced with the current density of urban traffic and less space for road transport, Citroën Nemo is the perfect commercial vehicle to slip from one client to the next. LARGE CARGO CAPACITIY Even with its compact dimensions, just 3.86 m, Citroën Nemo has astounding cargo space: • payload of 660 kg • useful volume up to 2.80 m3 • useful length up to 2.50 m • 1.04m width between wheel arches: • the retractable Extenso passenger seat folds into the floor and its swivel separation grid increases the useful volume to 2.8 m3 allowing you to carry loads measuring up to 2.50 meters long. Get the best out of your Citroen Nemo by adding a Roof Rack.